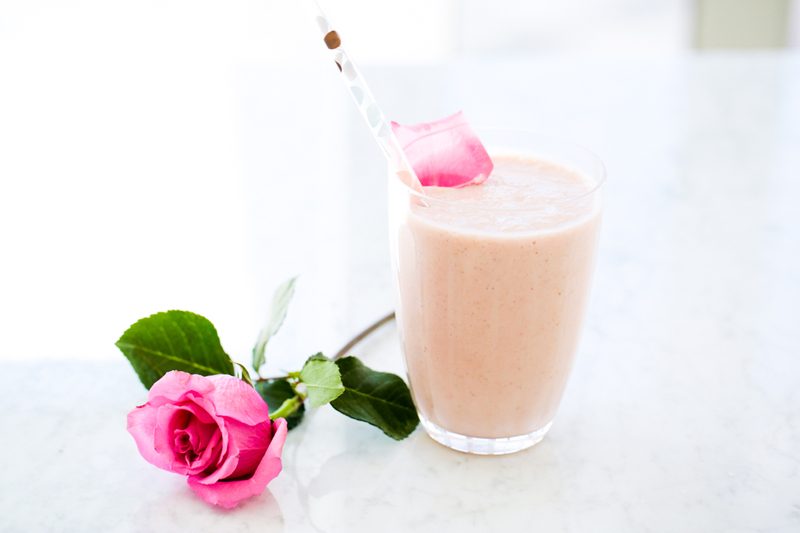 Think of this one as the smoothie your Instagram will love. And when we say love, we mean it. Allow us to demonstrate: coconut water? Check. Rose water? Check. 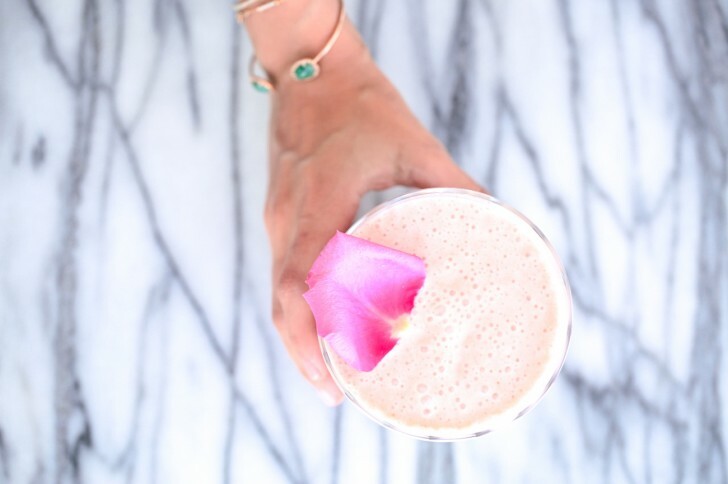 A pretty, pastel-y pink that can easily be poured into a bowl and topped with bananas, chia seeds, and anything else that makes for a symmetrical swirl? Check, please! That, and as it turns out, strawberries are a lesser-celebrated superfood (blueberries take all the shine, we guess)—they, too, are filled with anti-cancer-y and pro-glowifying antioxidants, vitamin C (again: good for your skin; the C might as well stand for collagen, actually), inflammation and blood-pressure busters, all while being relatively low in sugar in comparison to some of their fruit brethren. The genius combination comes courtesy of the girls behind How You Glow, who also introduced us to last week’s obsession—their pitaya and passion fruit yogurt bowl. 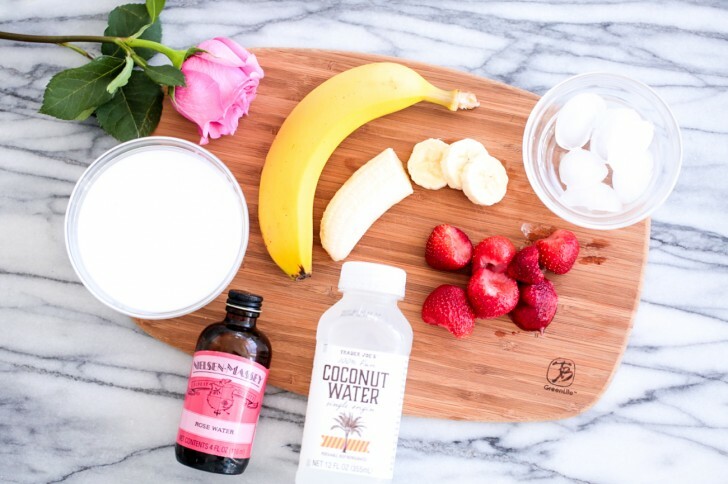 You can also totally toss some kale or spinach in here, too, or other good-for-you-but-annoying-to-eat greens, and you won’t taste a thing, thanks to the whole banana-strawberry-coconut-everything combination. In other words? You need to make this for breakfast tomorrow. It might just turn you into a morning person (!! ).